When first asked what we thought the best electric fireplace buy was, the question rocked us back on our heels. On the other hand you can spend a fortune and get the best fireplace in its class out there. The question only you can answer is –‘Is it worth it to me?’. A lot of people buy Ford’s and are quite happy, but there are some that buy Rolls Royces and won’t settle for less. Is that incremental value that is added by a top-of-the-line electric fireplace worth the often large premium price you need to pay for it? We looked at overall performance in terms of flame effects and heat production. We looked at the price. We jumbled that altogether and made our selections. We hope you have an enjoyable browse in the right direction to purchase an electric fireplace that will fully meet your needs and your budget. The Touchstonee Onyx Black (also available as Ivory White), 50 inch wall-mounted electric fireplace is our pick for ‘best buy’ in wall hung fireplaces. Check out the current discounted price by clicking the images below. It is been an Amazon bestseller for a long time with over 415 reviews and 300 answered questions. It has been picked apart by master nit-pickers and gotten rave reviews. Why? It does its job really, really well. It’s great realistic flame effects create a cozy, romantic ambience and soothing effect, while providing supplemental heat if needed to really make things snug.. The flame effects are outstanding. In fact we went through over 60 reviews and not a single person complained about “fake looking” flame effects. That is pretty the outstanding. As noted previously, it comes in two colors black or white. This electric fireplace heater has clean modern lines. It is very fashion forward and will be a welcome focal point in almost any decor. As is befitting an Amazon bestseller, the buyer ratings and reviews were outstanding. In fact in our full review when we did the pros and cons section it was very difficult to find ‘cons’ on this fireplace. You might be wondering why we didn’t give this a “best” rating. The answer is that the Dimplex employs newer 3D technology and is really state-of-the-art. But, in seeking the best of anything, you certainly pay a premium in terms of price with the Dimplex. The Touchstone 50” wall mounted electric fireplace is a great combination of value and function at a very reasonable price point. We happen to love the clean contemporary styling cues. If you want soothing, cozy mood and ambiance, this fireplace will fit the bill and nudges ahead of the competition at the low to mid-range price point. Our choice for the is the Dimplex Compact Electric Stove CS33116A. It offers great value at a very reasonable price point. We performed a complete review of this electric fireplace stove in a good, better, best comparison of 3 Dimplex models. This was rated as the ‘better’ of the 3. Why didn’t we pick the Celeste electric stove as th best buy which was our premier pick in that post? Well, you would pay about $300 more for a small improvement in looks and performance. In this case value was the trump card that made our pick easy. This compact electric stove has more features and a higher technology level than most in its class There are no fancy colors or special effects, the flame, the logs, and the embers are striving for realism. Most buyers felt the flames and glowing embers are very realistic looking and love the ambience it creates. There is an automatic cut out device to prevent the heater from overheating. If this is activated, then the heater will not come back on until this has been reset. Check out our detailed post on electric fireplace safety. Most customers felt that this Dimplex Compact fireplace was a very good value for money and some said that they would buy more of the units for other rooms. There are a large number of reviews for this Dimplex fireplace on Amazon. In terms of customer satisfaction 80% of all buyers rated it either 4 or 5 stars. This fireplace is a wonderful blend of good looks, performance, and creating a nice ambience for a low to mid-level price point. It is a worthy contender for your consideration. The SEI Cartwright Fireplace Espresso is a fully functional heater and flame effect unit that will be the center piece of any room. It has good heat output that can be precisely controlled, and there are even five levels of brightness for the realistic looking flickering flames and burning logs. A lot of customers were very satisfied with the appearance of the SEI Cartwright Espresso. There were comments such as “gorgeous”, “beautiful”, “a beautiful piece of furniture” and “very modern and stylish”. The elegant design of the fireplace was commented on a lot, and many people thought that it was very good value for money and looked a lot more expensive than it actually cost. There were several comments about how well made the fireplace was and how it should last for a long time. We chose the Carson electric fireplace TV stand because the vast majority of buyers thought it was a great value. It has 0ver 4,500 buyer reviews which is crazy. The second most we have seen for an electric fireplace is 500. Check the price, as this particular electric fireplace is often on sale . We cannot tell you today’s price, but we monitor it regularly. If it is on sale for under $200, snap it up – it is a great deal. This electric fireplace entertainment center has been around a looooooong time, and served many well. This is a long and low electric fireplace TV stand. It only stands 26 inches tall, but is over 5 feet wide. It is definitely designed to be placed against a wall with a flatscreen TV on top. There is lots of storage down below with open shelves to accommodate disc players and cable boxes and closed cabinets that bracket the fireplace to handle additional storage. This one was easy. We chose the PuraFlame Western 33 inch Electric Firebox Heater Insert because it is easily the most purchased on our site. And, it is an Amazon Best Seller with outrageously great reviews. Helpful Tip: Please, please measure your fireplace or surround carefully. Then do it again. Most manufacturers make the same model with the same operating system in different widths. If you miscalculate you may be investing in a trim kit. 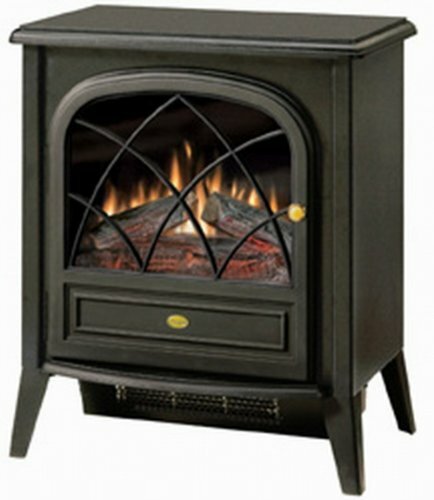 The PuraFlame Western 33 inch Embedded Electric Firebox Heater was a super-hit with buyers. We can hardly believe that there were no negative reviews left for this product. 100% of buyers left a 4 or 5 star rating for the PuraFlame, and left a lot of reasons for prospective buyers to purchase the product. We don’t often come across products that meet the needs of the entire spectrum of buyers, but when we find something that customers like, we make it a point to recommend it- and we do, to anyone looking for a high-quality, durable and sturdy, electric firebox insert that will turn your living room into the romantic space you have always wanted. There are 3 accessories you may want to consider, the first for added functionality, the second for added aesthetics and pleasure. 3. Wire Covers. Wires and cables dangling from your electric fireplace can really detract from the effect? This Cord Cover Kit makes it a snap to hide wires. It’s very easy to install and can be painted to blend seamlessly into any wall.